A judgement call is coming. The voters of the UK choose who they want governing them some time in the next few months. For some that will mean tribal loyalty, for some which person they want representing their constituency and not which party they want in power, for still others a close consideration of the policies of the different parties. But every election is slightly more presidential than the previous one, and for lots the choice will be who would they prefer to see as Prime Minister. And this year it’s a choice between Gordon Brown and David Cameron. So whose judgement should we trust? was moved into a Fast Stream education and sent to Kirkcaldy High school two years early. Here, at the age of 11 he would debate socialism with the school Librarian, a Tory. In 1962, also at the age of 11, he founded a newspaper sold in aid of African refugees. The following year he published an interview with John Glenn, the first American in space. At 12, he was leafletting for the Labour Party and at 14 he sat his O-levels. 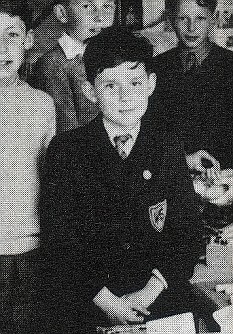 Just after his 15th birthday, having constantly been top of his class, Brown gained five A grades in his Highers (the Scots equivalent to A-levels). He was then sent to university at the age of 16. David Cameron attended Heatherdown Prep School where he came 13th in his class in his last year there. If you’d gone to my primary school, 13th would have been top half of the class and you’d have probably got a well done but should try harder. Cameron, however, came 13th out of a potential 13. Poor exam results lead to Cameron repeating a term at Heatherdown before moving on to Eton. At Eton he continued his academic life quietly until the age of 15 when he was almost expelled after police were forced to investigate drug use by Cameron and his contemporaries. Despite this, he left Eton with three A-grades at A-level. 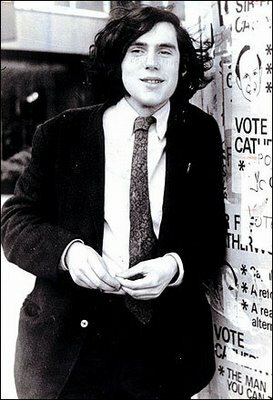 University: At 16, Gordon Brown went to study History at Edinburgh University. It was while here that he suffered the loss of his left eye caused by an injury in a rugby match. After recovering from his injuries, Brown returned to University where he went on to edit the university’s magazine The Student. While editing this, he famously revealed the University’s investments in pro-Apartheid South Africa. Shortly after this, he stood for his first elected position and became the university’s Rector. He then took the university’s authorities to court after they attempted to overturn his election because he wanted to exercise the rarely claimed right of the rector to be chairman of the governing body. Only the second ever student Rector, he was 21 years old. He had graduated with first class honours, a Masters and later completed his doctorate at the same university. researcher for Tory MP Tim Rathbone and spent time in Hong Kong. 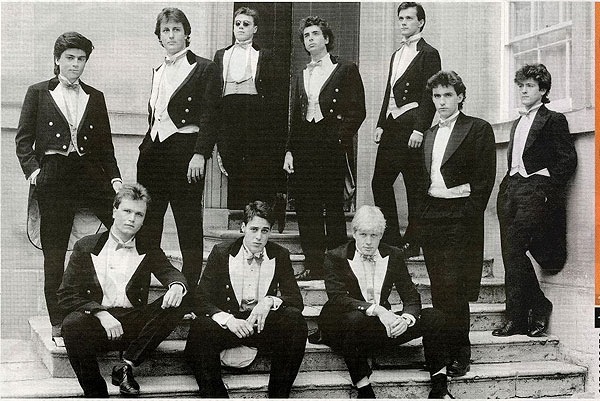 Cameron studied Philosophy, Politics and Economics gaining a first class Bachelor of the Arts. Whilst there, he was captain of his college Tennis club and a member of two dining societies, the Octagon Club and the infamous Bullingdon Club. Post Graduation: After completing three years as Rector, Gordon Brown went on to become a lecturer at a college in Glasgow, and continued to campaign for the Labour Party. In 1980 he became a journalist for Scottish television, later becoming current affairs editor. Having failed to be elected MP for Edinburgh South in 1979, Brown stood again in Dunfermline East where he was elected to Parliament at the age of 32. In 1988, immediately after graduating, David Cameron went to work for the Conservative Research Department where he went on to become head of the political section. During this time he visited South Africa paid for by an anti-sanctions pro-apartheid lobbyist. After the 1992 election campaign, Cameron led Tory staff to Labour party headquarters to jeer at the building. He was then promoted to be Special Adviser to Chancellor Norman Lamont. 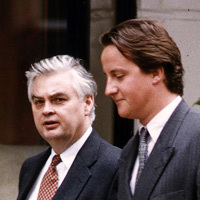 Cameron was Lamont’s closest adviser at the time of Black Wednesday. Following Lamont’s sacking, Cameron went on to advise Michael Howard for a time before leaving for a private sector job because he believed this would benefit his political career. Lady Astor, Cameron’s mother in law then suggested to Michael Green the head of Carlton TV that he hire Cameron. During this time, Cameron upset a lot of journalists including Sky’s Jeff Randall who later said “I wouldn’t trust him with my daughter’s pocket-money”. Cameron stayed at Carlton until he was selected for the safe Conservative seat of Witney and elected to Parliament in 2001. Parliament: A couple of weeks after entering Parliament in 1983, Gordon Brown began sharing an office with another new MP, Tony Blair. They quickly became inseparable friends. Following “the longest suicide note in history”, they quickly became frustrated with the Militant tendency and in-fighting as well as the general direction of the Labour Party. They were quickly joined by Peter Mandelson. They talked over plans and ideas, went on fact-finding trips together, wrote each other’s speeches and formed the core philosophy that would go on to become New Labour. Brown rose steadily through the ranks of the shadow cabinet, famously standing in for John Smith after his first heart attack where he demolished the Tory Chancellor at the despatch box. He was to become Shadow Chancellor in 1992. Immediately after the 1997 election victory, Gordon Brown introduced reforms as Chancellor. He made the Bank of England independent, changed how inflation was measured, gave responsibility for supervision of banking to the FSA, reduced income tax from 23% to 20%, reduced corporation tax from 24% to 19%, as well as introducing minimum wage, and leading the campaign to cancel the debt of the world’s poorest nations. Since becoming Prime Minister in June 2007, has dealt with the recession and received plaudits from economists and statesmen around the world for dealing with the global financial crisis. He also suggested a package of measures to clean up Parliamentary systems after the expenses scandal. He has announced proposals for a written constitution and modernisation of the voting system. the proposed downgrading of Ecstasy from a class-A drug. He also voted against fox-hunting, against the smoking ban, and against the repeal of section 28. After attempting to raise his public profile by offering quotes on controversial subjects, he was passed over for promotion by Iain Duncan Smith. Shortly after this, he began to abstain from whipped votes. Abstentions destabilised the IDS leadership and culminated in a change of leader to Cameron’s old boss, Michael Howard. Howard then promoted Cameron to the front bench and made him policy co-ordinator, where he crafted the now infamous 2005 “Are you thinking what we’re thinking” election message and manifesto. After the failure of that campaign, Howard resigned and Cameron stood for leader 4 years after entering Parliament as an MP. Since becoming leader, Cameron has tried desperately to show a new changed Tory party with a number of PR stunts such as riding his bike to work while completely failing to change the party in any fundamental way. He oversaw the move of the European Tories into a far-right grouping and opposed all the government’s fiscal measures during the financial crisis. A judgement call is coming. And it’s coming soon. As election day draws closer, voters are taking a closer look at who they want as Prime Minister. A judgement call is coming. People will choose between top of the class or bottom. A school star or a pupil almost expelled for drug use. A judgement call is coming. People will choose between the university student who fought the authorities for better representation and the student who spent his time with his old school friends at ultra-exclusive dining clubs. A judgement call is coming. People will choose between the lecturer and journalist who campaigned against apartheid and the party apparatchik who took jollies to South Africa during sanctions. A judgement call is coming. People will choose between the MP who helped save his party from self-destruction and his country from financial ruin, and the MP who opposed banning fox-hunting or repealing section 28, wrote one of the most right-wing manifestoes of recent years, and failed to make any changes to his party other than cosmetic ones. A judgement call is coming. And it’s coming soon. But wasn’t Cameron the chief adviser to Norman Lamont during his ill-fated time at the Treasury? His judgement was flawed then, and it’s equally flawed now. A Tory win would leave the country heading for deflation and rates of unemployment not seen since the 1930s. More and more people are starting to realise this – that’s why they’re turning back to Labour. You gloss over what damage Brown (and his party) has done to the country whilst in power – especially while at the Treasury. You also gloss over Brown’s apparent paranoia and willingness to fill his circle with his friends… at the detriment to his Government and the country (remember he wanted to replace Darling with Ed Balls, at the peak of the crisis?). Brown has tried and has failed. Cameron has not had a chance. Very good, thorough piece there Rob – and I think it sets out why Gordon Brown (and not just Labour) deserves that second look.